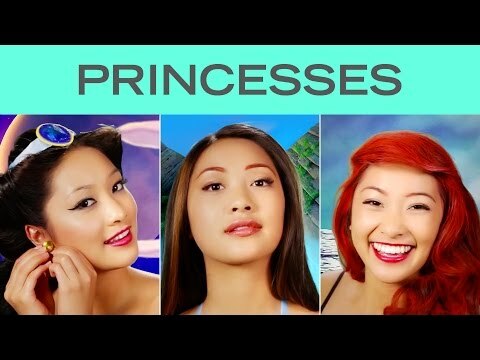 Okay, so she wasn’t really transformed into seven Disney princesses in two minutes, but thanks to time lapse video she was! This model, with the help of Disney Style, was able to get the looks of seven Disney characters and she had a blast while doing it. In the video, we get to see her transform into Belle from Beauty and the Beast, Rapunzel, Elsa from Frozen, Ariel from Little Mermaid, Jasmine from Aladdin, Snow White and Pocahontas. It is kind of cool to see the model in all the different looks and how simple it is to get some of those looks. Our favorite had to be her as Jasmine from Aladdin, as she looked really good and very pretty in that makeup. Snow White was a close second though! Check out all the different looks here and tell us which one is your favorite!